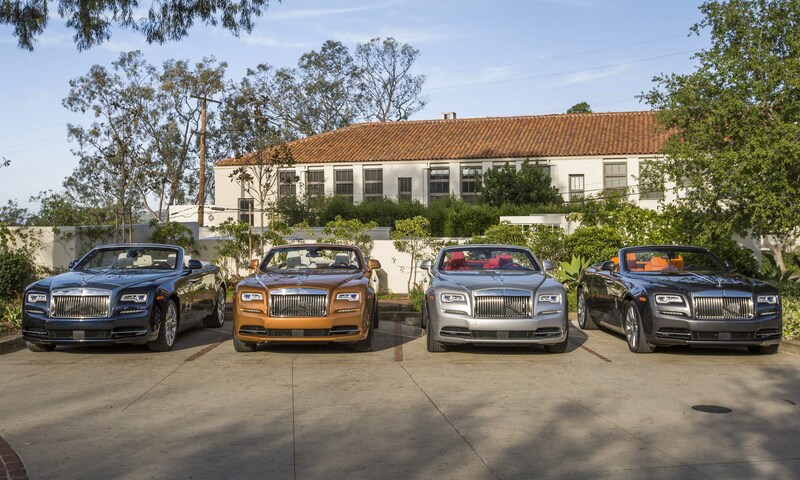 Owning a Rolls-Royce is not merely about a vehicle — it’s about time-honored tradition and the entire experience of possessing a motorcar of distinction. 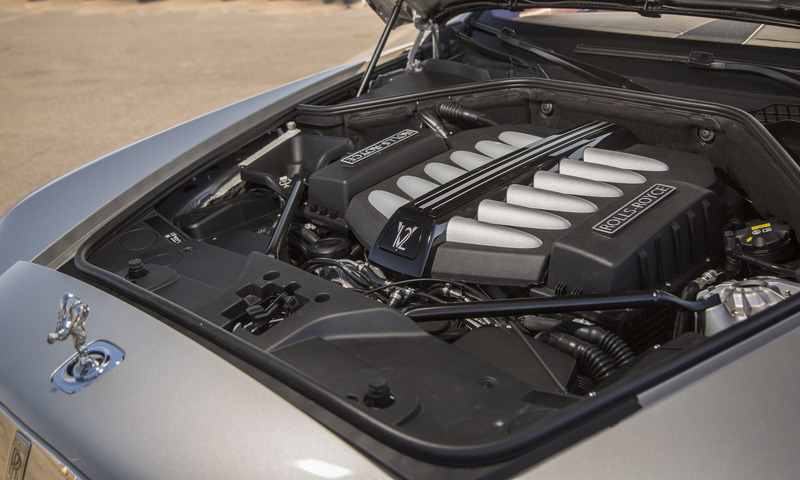 Almost anyone with a pulse recognizes the name Rolls-Royce, and while the brand may mean different things to different people, it’s virtually synonymous with success, prestige and wealth. 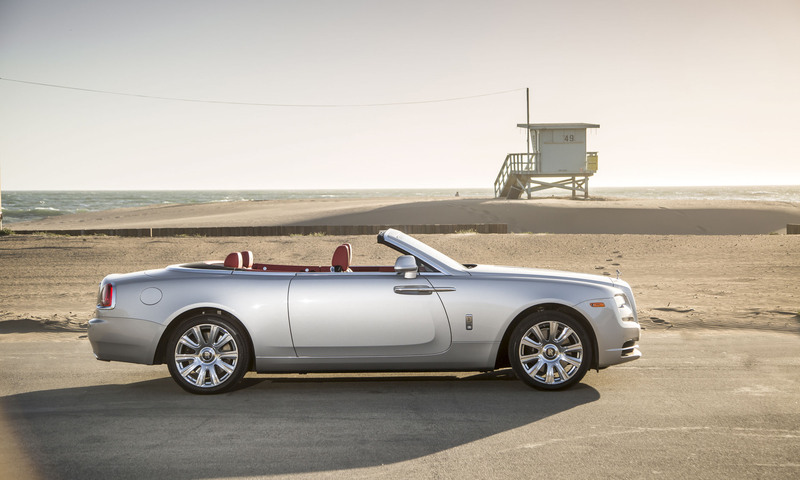 A Rolls-Royce is acquired not simply for transportation; it is a true luxury and lifestyle statement — more akin to collecting an exclusive piece of fine jewelry or a rare work of art. 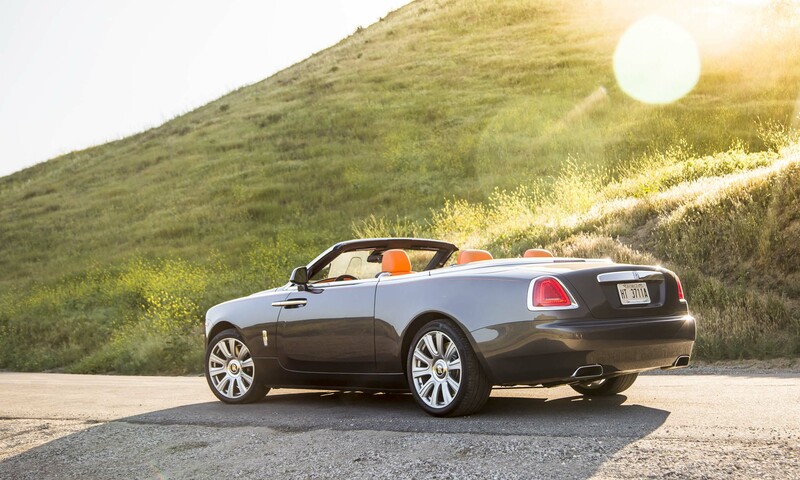 My Rolls-Royce experience started even before getting behind the wheel of the Dawn. 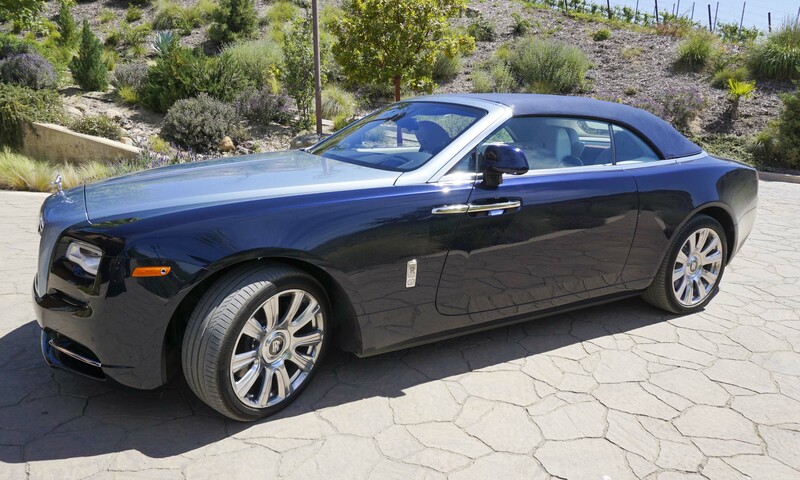 As I waited outside baggage claim at LAX expecting a black sedan or perhaps an SUV to appear and shuttle me to the hotel for our press event, I received a message from the driver: I’m in the silver (Rolls-Royce) Ghost. 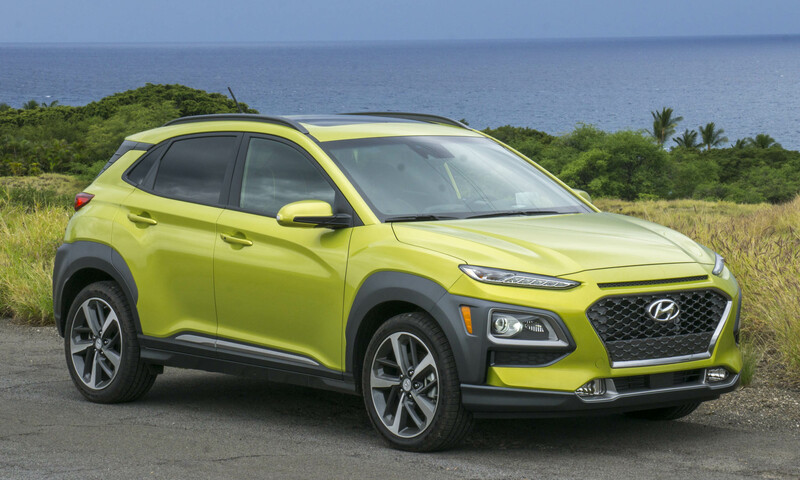 As I stared into the sea of Prius taxis, SUVs and town cars swirling by, the most recognizable of all automotive grilles (and hood ornaments) surfaced and I raised my hand to signal the driver. As the Rolls glided to the curb, I could feel all eyes on me as most passengers in front of Terminal 6 paused to see who would get into the Ghost. 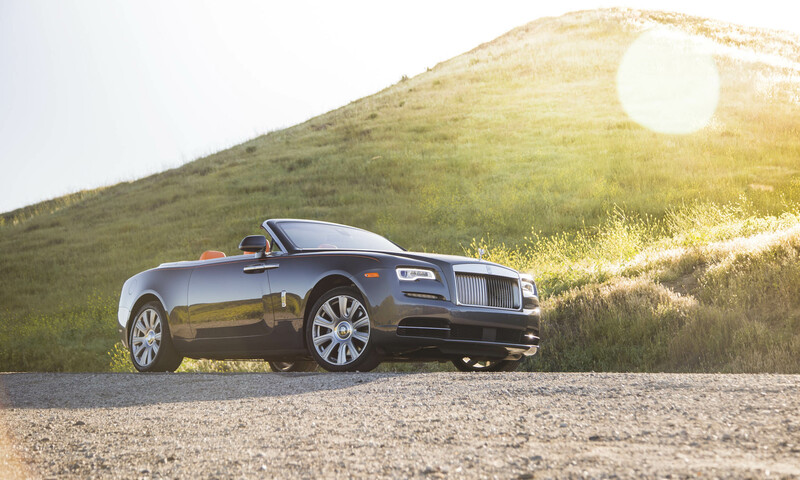 Even in Southern California where the highest concentration of exotic, high-performance and luxury cars can be spotted on any given day, a Rolls-Royce still turns heads. 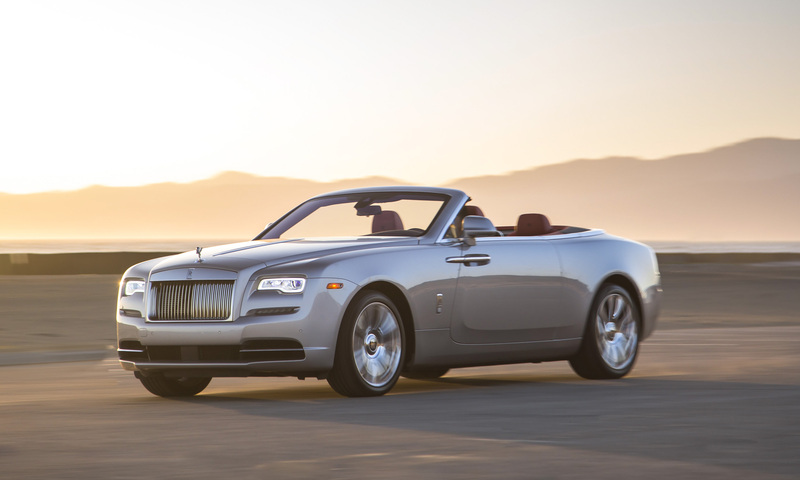 Dawn is the new Rolls-Royce super-luxury 4-seat convertible joining the lineup as the seventh-generation Phantom gets phased out. 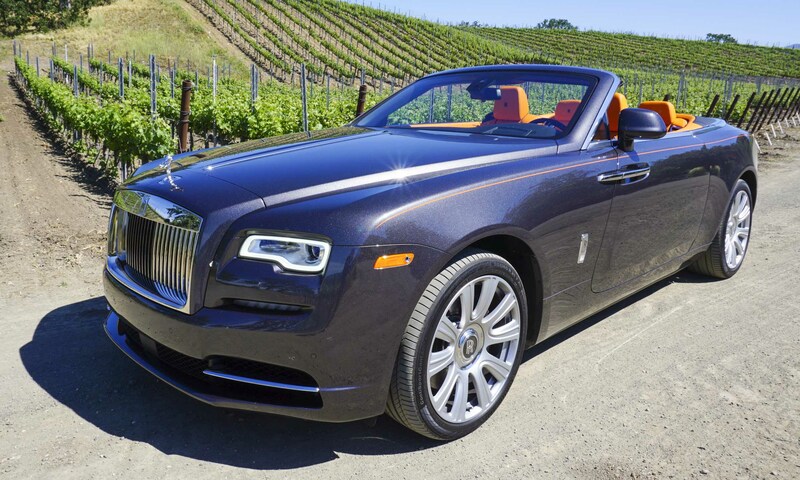 Many people may imagine the typical Rolls-Royce experience consisting of a hired driver behind the wheel as an owner sits sequestered in the vast luxury of the rear seat, negotiating billion-dollar business transactions or hiding from the paparazzi behind designer sunglasses. 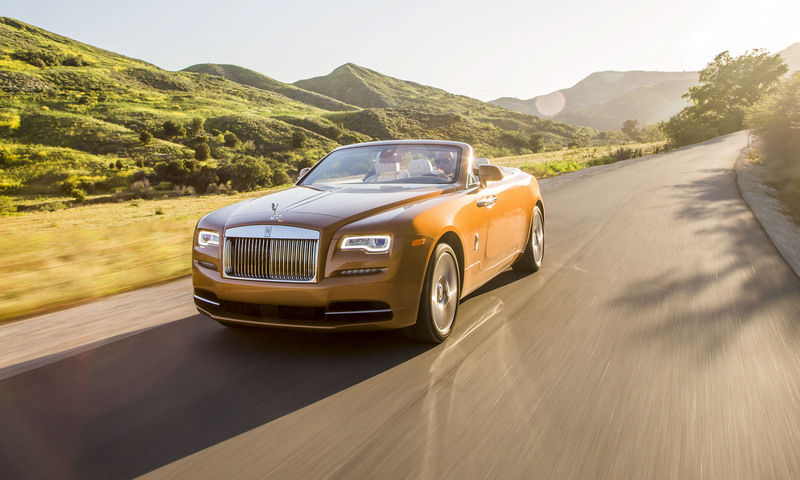 But Rolls-Royce personnel envision the Dawn as a more “social” ownership experience, with the owner behind the wheel and room for not only a front-seat passenger, but also a rear seat that will deliver a no-compromises luxury experience for two additional adult passengers. 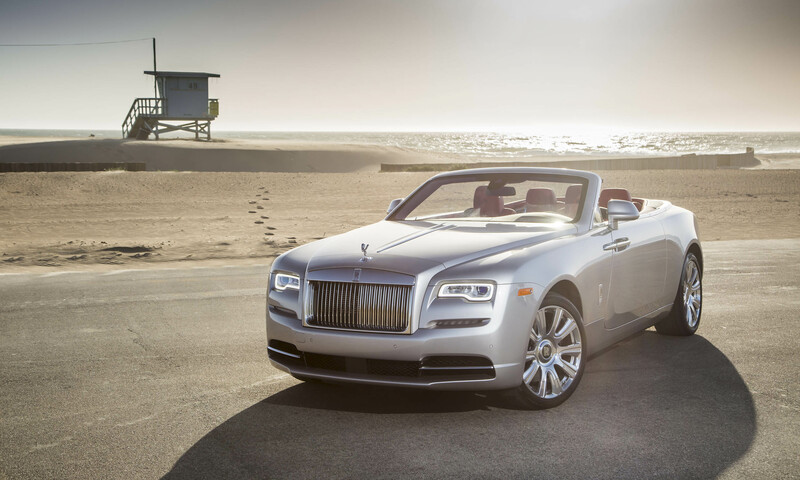 The Rolls-Royce Dawn is offered as a single model without set trim levels, since nearly ever Dawn is built to individual customer specifications that include tens of thousands of dollars in options. 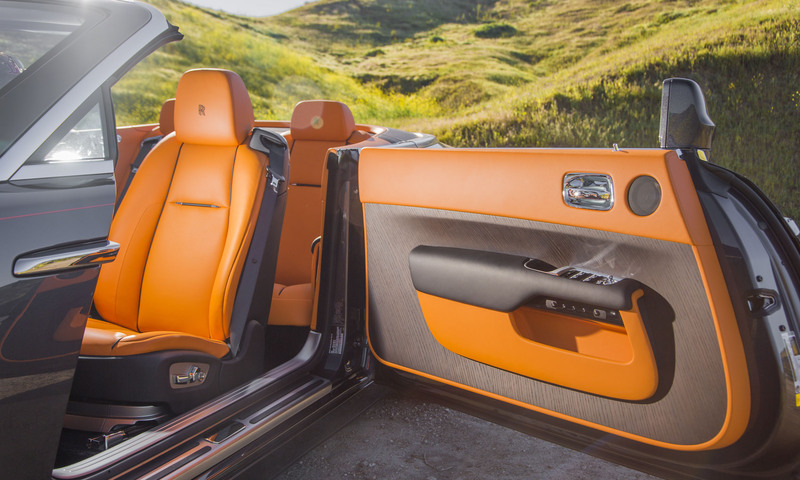 Rolls-Royce Bespoke allows owners to customize virtually every aspect of the car from paint, trim and wheels for the exterior to materials, patterns, textures and colors on the inside. With a starting price of $345,000, average Dawn transactions are expected to be in the $400,000 range depending on the exact specs. 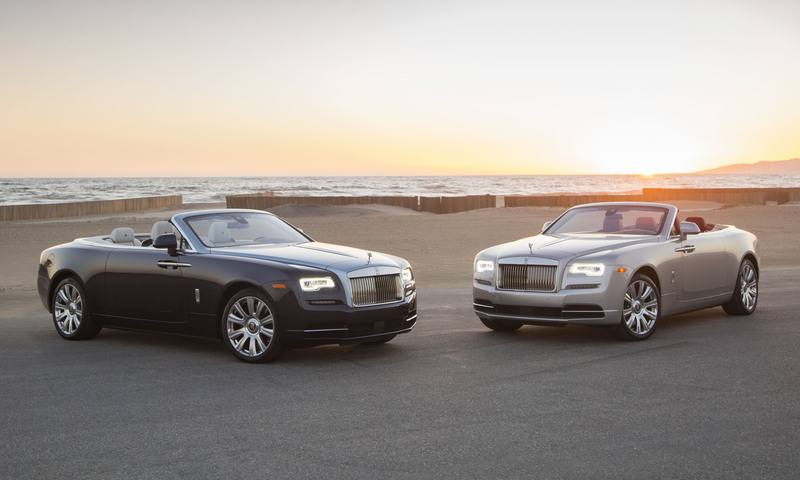 The majority of Dawns will be special ordered — either by the owner, a Rolls-Royce dealer with a specific owner in mind, or a dealer that will tailor the details of the Dawn to appeal to the taste of customers in a certain geographic area. 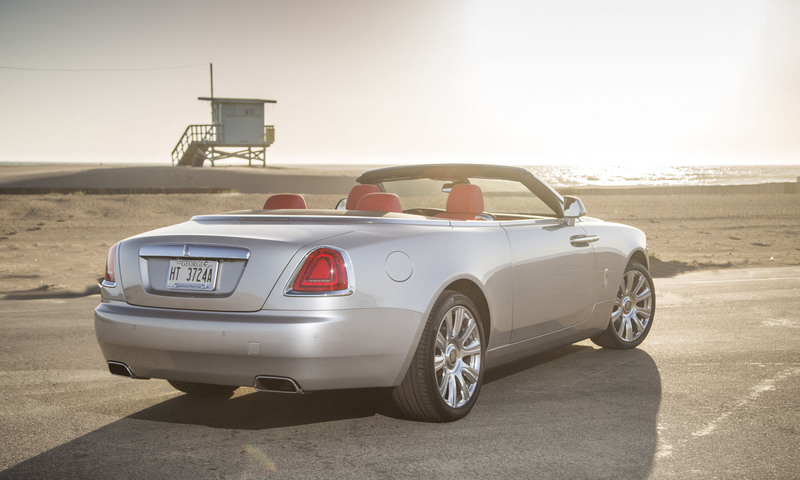 Although the Dawn shares mechanical underpinnings with the Wraith Coupe, Rolls-Royce is quick to point out that Dawn is not simply a convertible Wraith but a further evolution of Rolls-Royce design, with 80 percent of the body panels unique to Dawn. 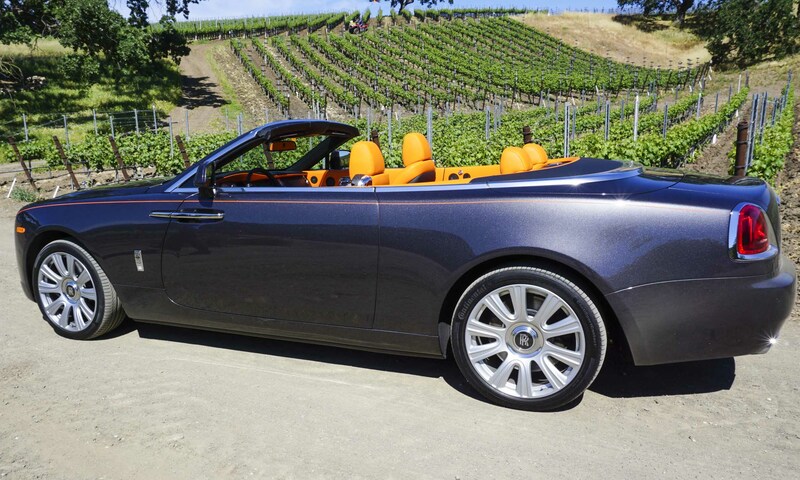 The design goal was to create a 4-seat super-luxury drop-top that looks equally elegant and beautiful with the top up as well as down. 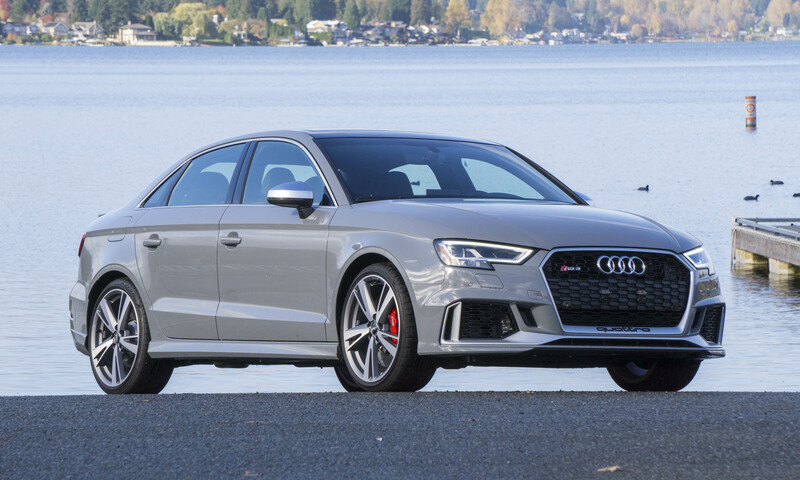 The grille has been recessed slightly and the lower bumper extended to focus more attention on the horizontal lines of the car rather than the vertical. 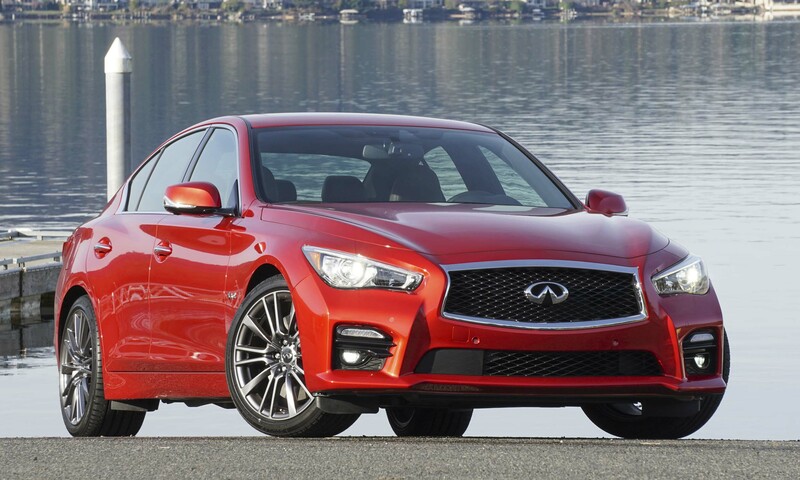 The elegant, sweeping profile features a rising beltline that wraps around the passenger cabin. The lowered soft-top gets stowed beneath a wooden deck (wood type chosen by the owner) that flows down between the rear seats and throughout the cabin. 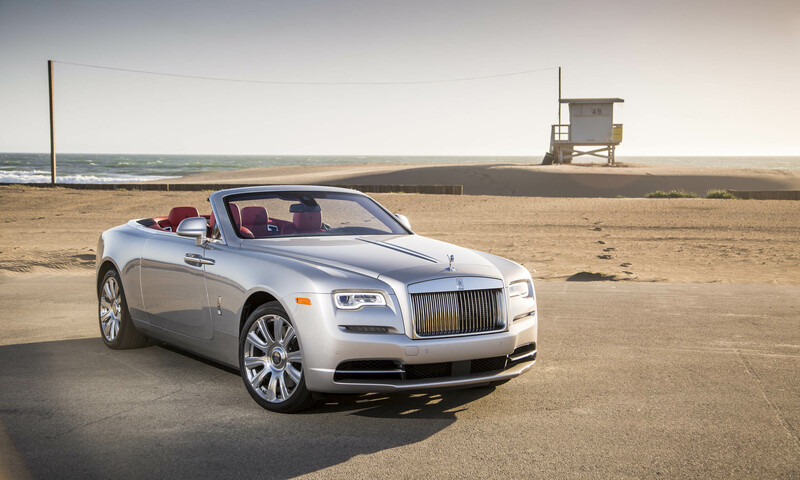 Powered by Rolls-Royce’s twin-turbo 6.6-liter V12 engine producing 563 horsepower and 575 lb-ft of torque at 1500 rpm, Dawn is Rolls-Royce’s most powerful full 4-seat drophead offered to date. Dynamic accelerator pedal mapping delivers increased throttle response at medium throttle positions. Satellite-aided transmission technology utilizes GPS data to see beyond what the driver can see on the road ahead to select the appropriate gear for the 8-speed ZF transmission, based on location and driving style. 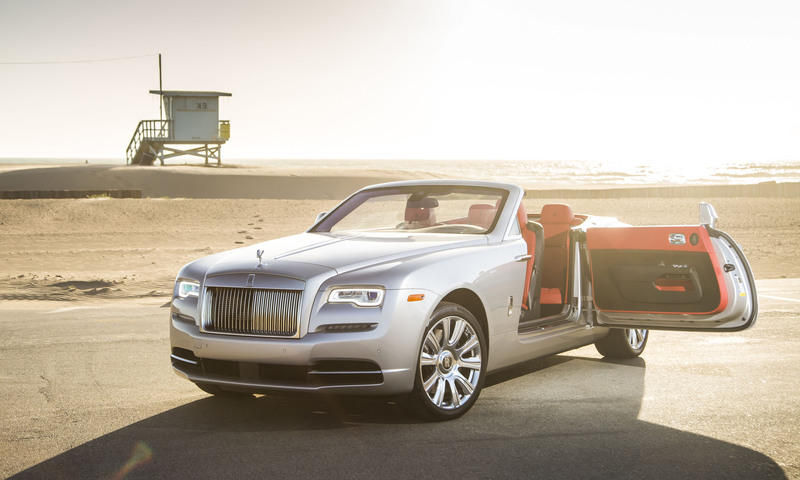 The unique Rolls-Royce rear-hinged coach doors complement the exterior profile and add to the interior design described by Rolls-Royce as a slingshot shape, running from the A-pillar toward the rear seats and around to the opposite pillar. Four separate bucket seats and the coach door design add to the ease of entry and egress from rear seats. With the doors open, it’s a long reach from the front seats, but with one touch of a button the doors softly close automatically. 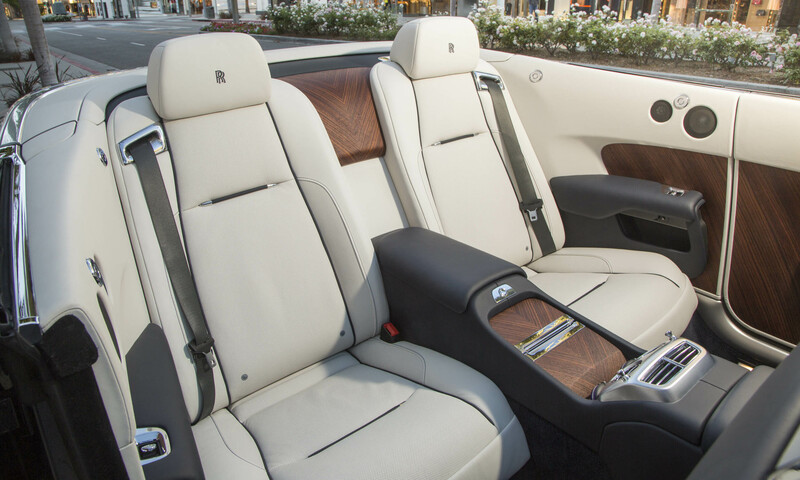 Sliding into the driver’s seat of the Rolls-Royce Dawn, you enter a world of exquisite materials, meticulously handcrafted to create an unmatched luxury experience. Every aspect of the interior can be tailored to the owner’s tastes. My test car featured a stunning Mandarin leather interior to boldly complement the understated grey metallic exterior and open-pore brown wood interior trim, to create a standout yet sophisticated package. The leather-wrapped steering wheel has a slightly larger diameter than an average wheel, but it feels just right for a Rolls-Royce. 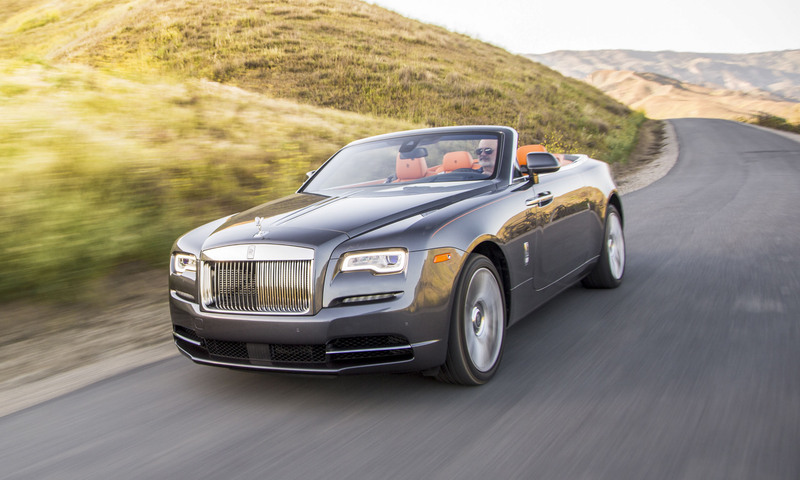 Driving the Rolls-Royce Dawn is best summarized as smooth and quiet, yet powerful. 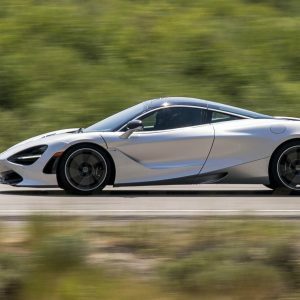 At idle the engine’s power goes virtually undetected, but with the slightest squeeze of the throttle pedal the Dawn begins rolling in a very fluid motion. 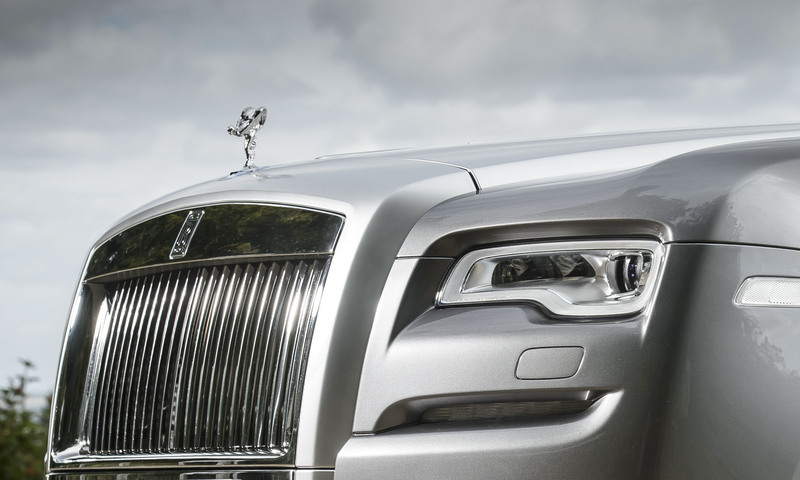 Rolls-Royce teaches chauffeurs to transition from a standstill without passengers being able to perceive the change. My first drive in the Dawn left no doubt that this subtle transition can be achieved. 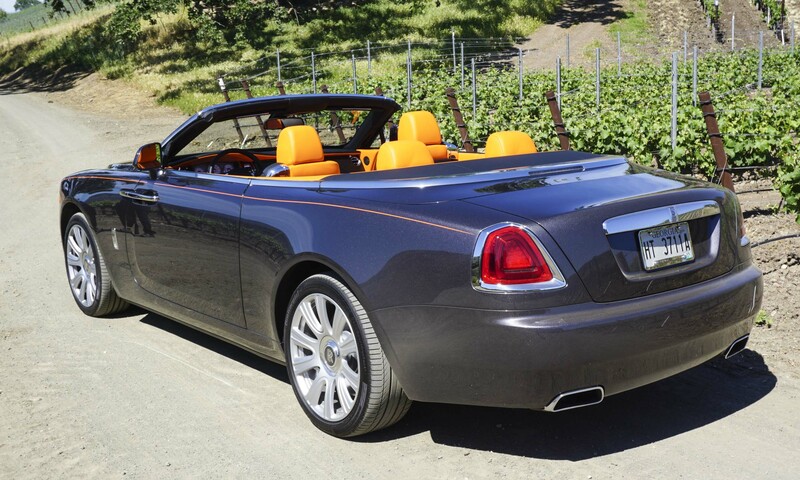 Newly designed air springs and active roll bars deliver the expected Rolls-Royce “magic carpet” ride, but the driver still receives enough information for power and control over the car. Unlike many luxury and high-performance models over $100,000, Dawn does not offer a sport mode or driver-selectable settings for ride or performance. 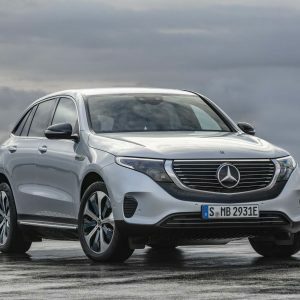 The engine, transmission and suspension are constantly making adjustments for terrain and driving style, but without any direct input from the driver. 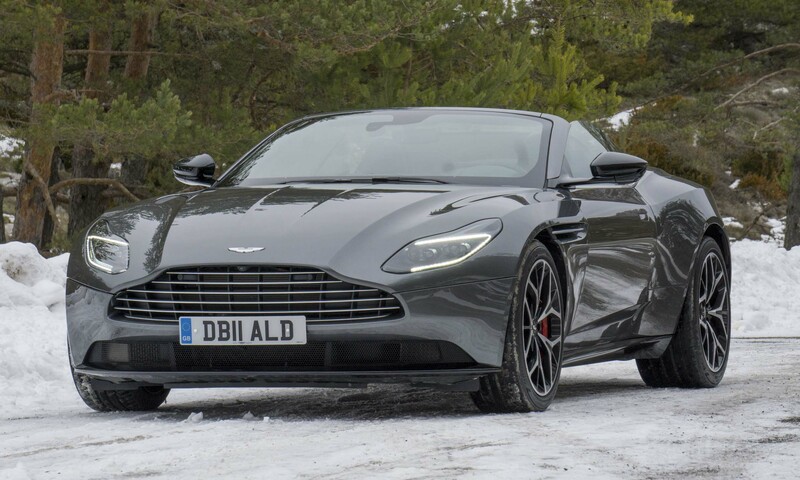 The engine produces a constant swell of thrust at any speed, always on tap at the slightest squeeze of the throttle pedal, and always unrelentingly smooth and quiet. 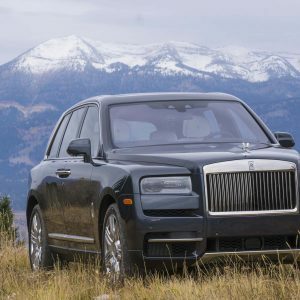 No doubt Dawn will accelerate from zero to 60 mph in 4.9 seconds as claimed by Rolls-Royce, but the vehicle is more about the abundance of power constantly on tap at cruising speed. Only a select few will face this question — perhaps while contemplating the purchase of a yacht or a new vacation home. 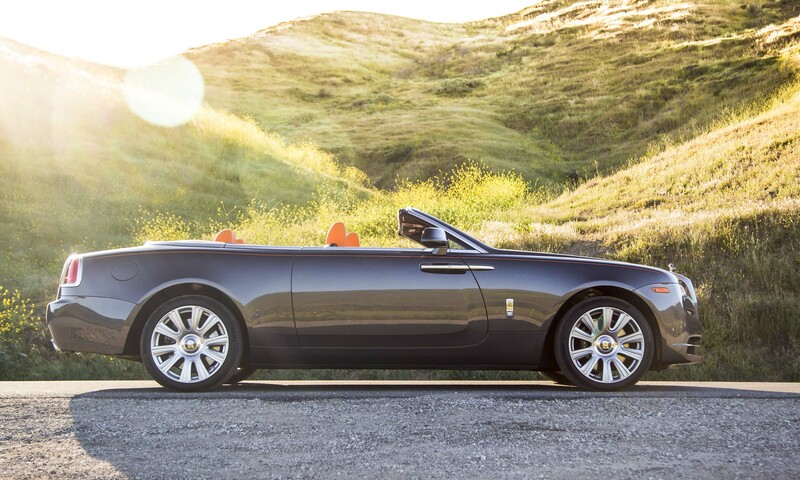 Dawn offers the opportunity to experience the Rolls-Royce mystique and meticulous refinement in a new, more dynamic open-top model. 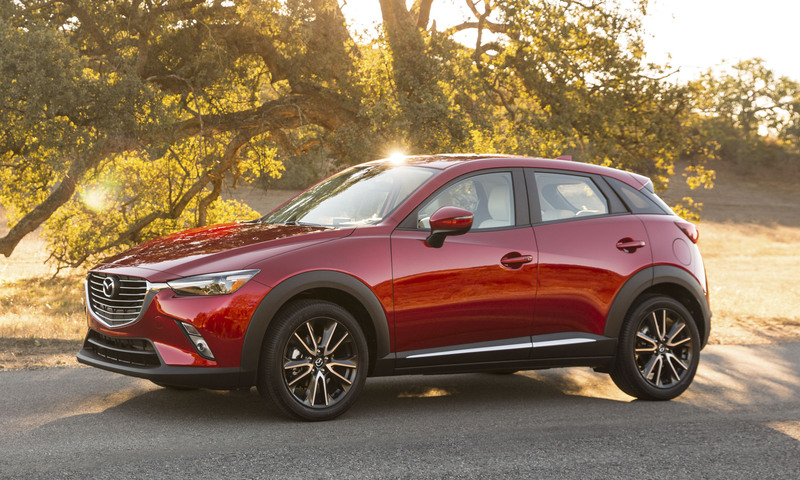 With unlimited opportunity to tailor the details of Dawn to personal preferences, for those with the means the Dawn rekindles and redefines a singular motoring experience. 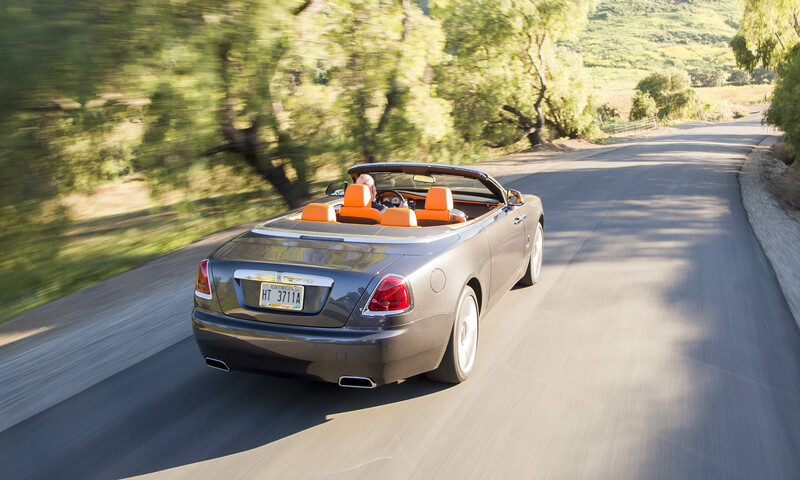 Bottom Line: Rolls-Royce Dawn is the pinnacle of luxury open-top motoring. Pros: Exquisite levels of luxury and quality; bespoke customization to owner’s preferences; powerful and luxurious open-top experience. Cons: Price of entry only for a select few; no keeping a low profile; could take a year or more for delivery, depending on personalization.